I took out these creations one by one every morning during the weekend to enjoy with our first cup of coffee! We spent our days laying in the grass while napping or reading, playing catch, jumping on the trampoline, inventing and playing silly games like beer pong and mostly, eating and drinking wine. It was just fun to get to know everyone in different settings every day! 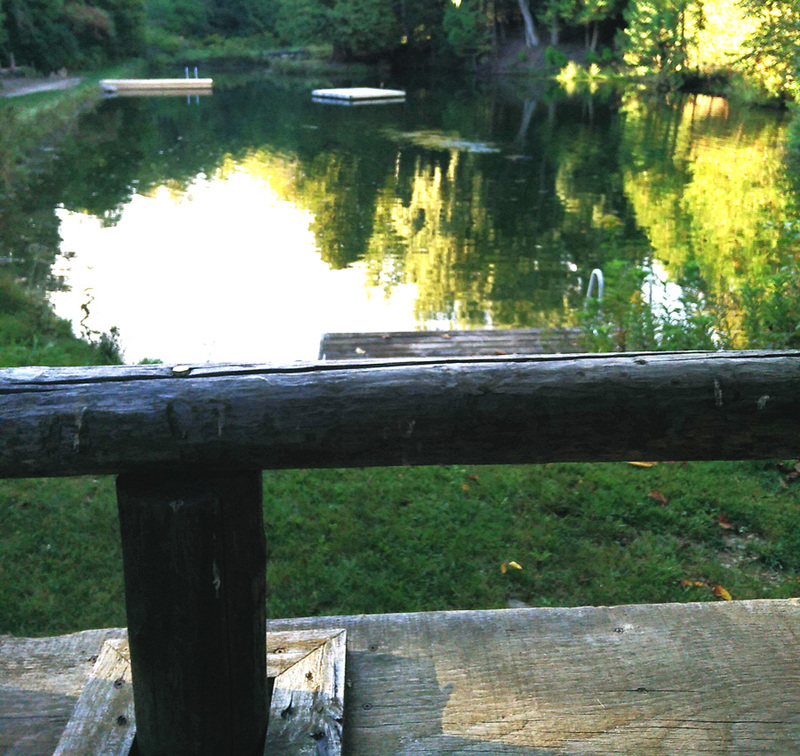 My all-time favorite activity though during the weekend was hanging at the pond and jumping in some of the coldest water ever, even if it was just for a few minutes! What a lovely way to spend the last few days of summer. Goodbye summer, you were awesome while you lasted!